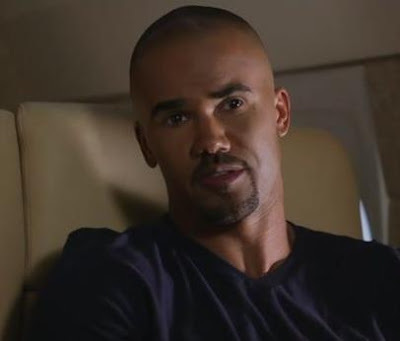 While we at LOVING MOORE anxiously await the Season 6 Premier of CRIMINAL MINDS, we find that viewing photos of our hero, SSA Derek Morgan (SHEMAR MOORE) helps us to cope with the four month hiatus from new episodes. We take note of the changes in Derek's appearance over the five seasons. In the earlier episodes, Derek had more hair and a scruffy beard. He then went to a finely trimmed goatee and mustache. In Season 3, he had a clean shaven look and almost no hair. We know our agent didn't go bald because we could see the shadow of hair that might be if he let it grow. 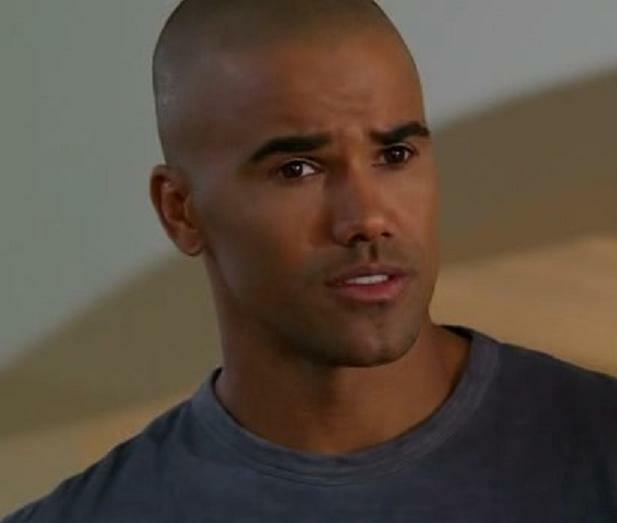 Besides, his alter ego, SHEMAR MOORE, was often spotted with hair in his down time. It took us awhile to get used to the hairless look, especially since we first fell in love with Agent Morgan back when he was Malcolm Winters on the YOUNG AND THE RESTLESS, and he had hair on his head and face. But a beautiful man is still beautiful, no matter how he is barbered, and it was good. But when our Agent's counterpart, SHEMAR, showed up after the Christmas holiday last year to resume filming CRIMINAL MINDS, again with a neatly trimmed mustache and beard, we decided it was our favorite look ~ Memories of Malcolm. Season 6 Premier is Wednesday, September 22.